About Dr. Rosanelli - The Hair Restoration Specialist...... Tom Rosanelli, M.D. Dr. Rosanelli has devoted the last thirty years of his Cosmetic Surgery practice to Hair Restoration. He is the founder of Rosanelli Medical Associates based in San Francisco with offices in Northern California and Hawaii. Unlike many medical groups who have multiple physicians at various levels of experience, Dr. Rosanelli is a solo practitioner and personally consults each patient through every step of their hair restoration journey. As past president of the American Society of Hair Restoration Surgery (ASHRS) and a founding member of the International Society of Hair Restoration Surgery (ISHRS), Dr. Rosanelli has pioneered many of the latest in surgical and non-surgical techniques including micro-grafting and mega-sessions. His latest work with ARTAS (Robotic Hair Restoration Surgery), FUE (Follicular Unit Extraction) and PRP (Platelet Rich Plasma) provide patients with the current state of the art treatments for hair loss. 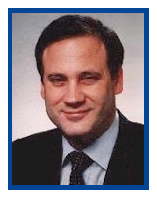 Dr. Rosanelli is an alumnus of the University of Notre Dame and attended Georgetown University School of Medicine. He received his surgical training in San Francisco before specializing in Hair Restoration. He continues to work with physicians across the United States in the research and treatment of hair loss. It takes a skilled and dedicated surgeon to stay abreast the field of hair restoration. Dr. Rosanelli will provide you with the finest in medical hair restoration individualized to your specific needs. Georgetown University, School of Medicine, Washington, D.C. Hair Transplant Surgical Training for two years with Dr. C. P. Chambers. Dr. Chambers has been performing Hair Transplants exclusively for 30 years. Dr. Rosanelli has limited his cosmetic surgery practice to hair restoration and has been performing Hair Replacement Surgery since 1986. Dr. Rosanelli is recommended on the Hair Transplant Network.